Ginkgo Biloba is standardized to contain 24% flavone glycosides and 6% terpene lactones. Phosphatidylserine and Choline are phospholipid components of cell membrane. DMAE is a precursor to acetylcholine, a neurotransmitter essential for memory and neural function. 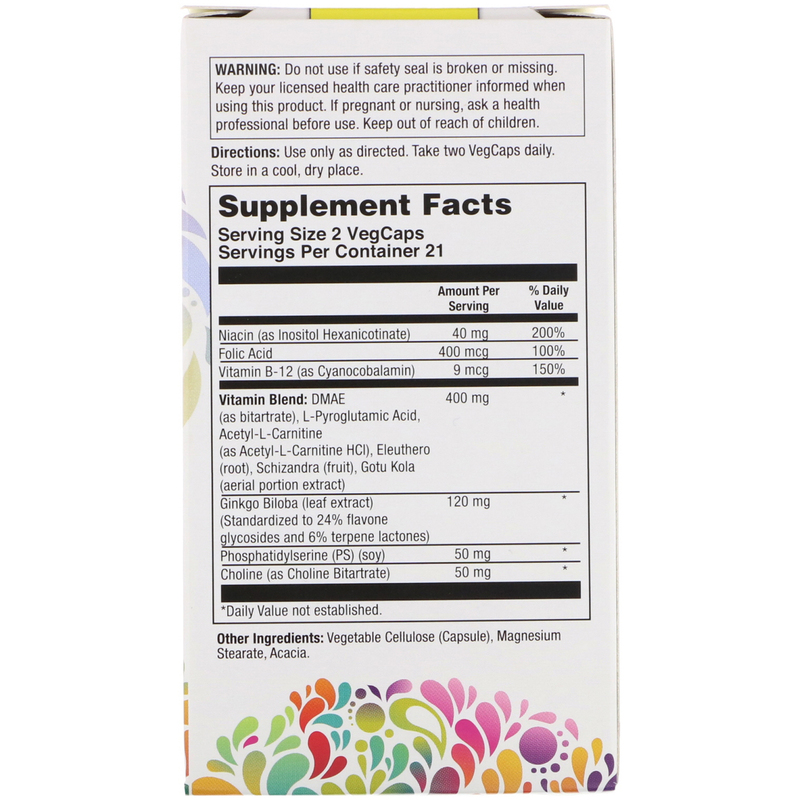 Adaptogens are commonly used to provide an overall sense of well-being. B Vitamins, Acetyl-L Carnitine & L-Pyroglutamic Acid are intended to help provide nutritive support for healthy cognitive function. 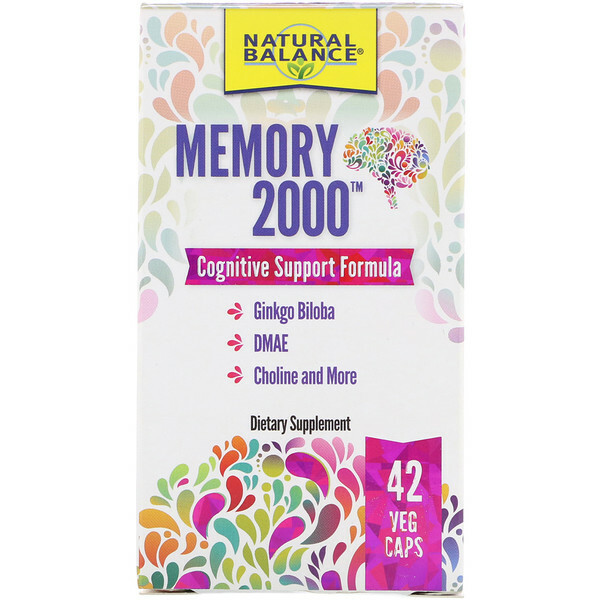 Natural Balance's Memory 2000 is an ideal formula designed specifically for those looking for a healthy cognitive support blend. 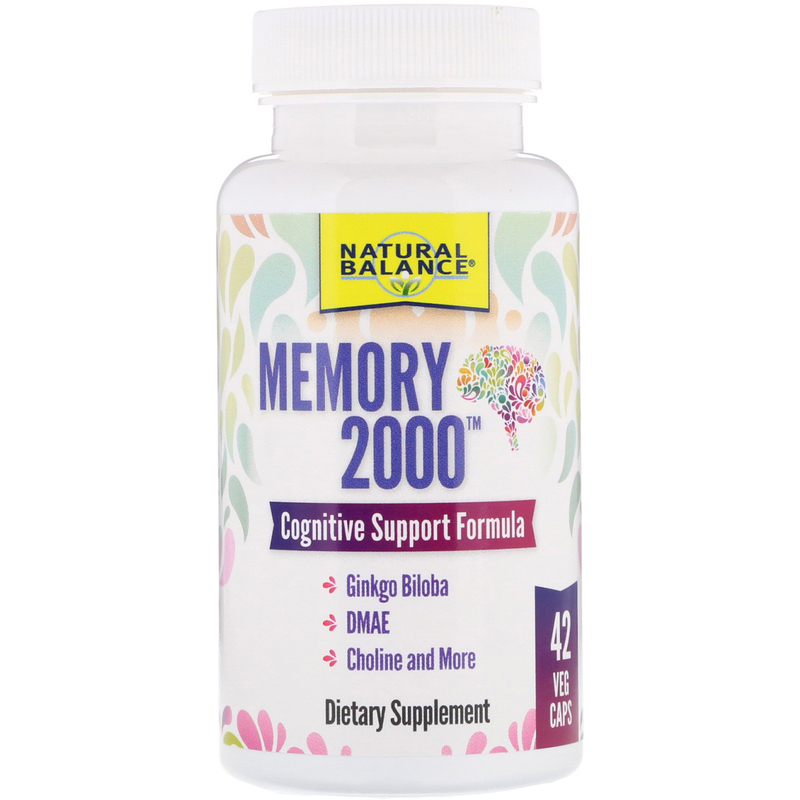 Memory 2000 is comprised of specialty ingredients including Ginkgo Biloba, Vinpocetine, Acetyl-L-Carnitine, Choline, and more. Use only as directed. Take two VegCaps daily. Vegetable cellulose (capsule), magnesium stearate, acacia. Do not use if safety seal is broken or missing. Keep your licensed health care practitioner informed when using this product. If pregnant or nursing, ask a health professional before use. Keep out of reach of children.